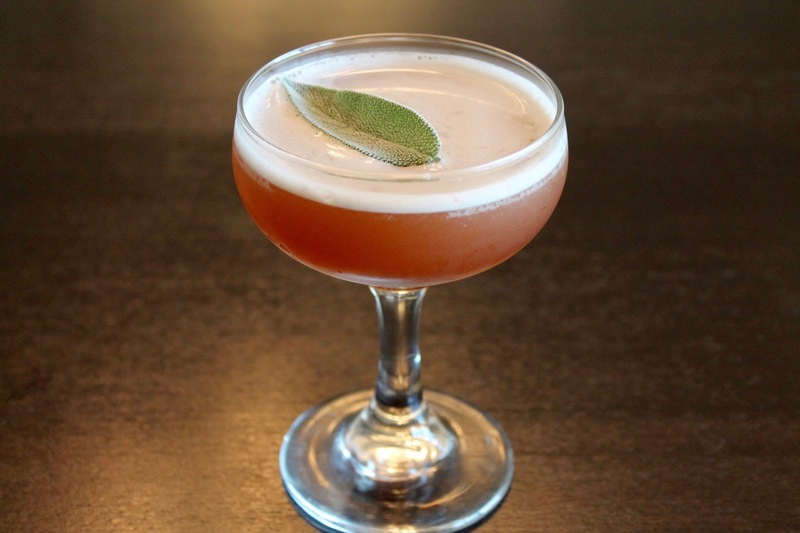 This year's Thanksgiving cocktail is inspired by the meal itself, a bourbon cocktail enhanced by the seasonal flavors of sage, celery, cranberry and maple. It's also got a bit of sherry it in, which adds just enough savory even salty flavor to the drink to hint at something meaty. Combine the sherry, Dolin blanc and whiskey in a cocktail shaker. Add the sage leaves (all but one) and muddle. Add the syrup and bitters. Fill with ice and shake until very cold. Strain into a chilled coupe glass. Garnish with a sage leaf.